The beavers that live beside the lake at Wild Rose are back to their busy ways now that the water is ice-free. The other night I watched one swimming along the shoreline and around its lodge. It was a beautiful evening with warm sunshine and clear skies. This entry was posted on May 9, 2014 by Christopher Martin. It was filed under Beaver, Nature, Wildlife and was tagged with alberta, beaver, Canada, Castor canadensis, Kananaskis, nature, water, wildlife. 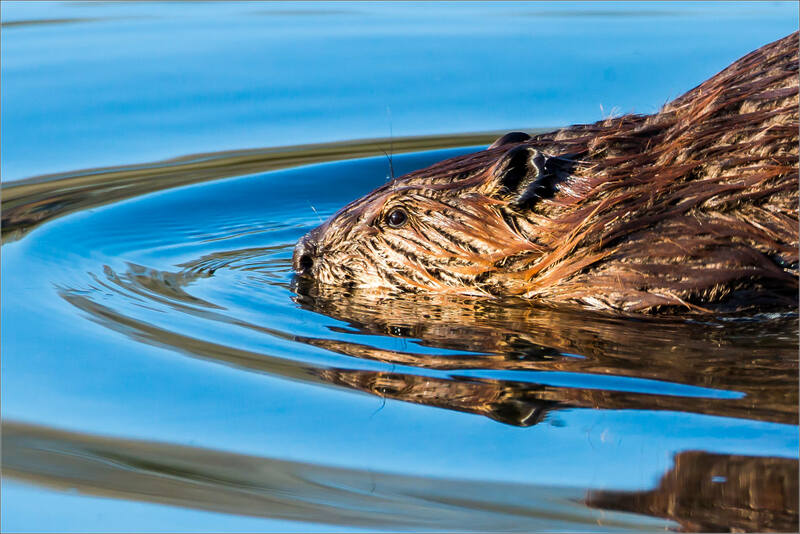 Fantastic shot… We have beavers on our pond back home, so feel somewhat at peace with this shot. I never saw a real beaver. Really cool shot! They are cool creatures. I hope you get to see one in the wild some day soon! Spectacular! One of my favourites.